"SwissVacations" is pleased to show you a variety of incredible places in Switzerland. 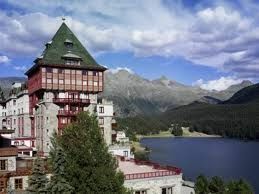 You will find relevant travel information and the attractions of the popular Swiss resorts and cities including tips and ideas for activities and things to do. Get an overview of Switzerland's main attractions or detailed destination information and travel guides of the country's well known places such as Zermatt with Switzerland's most famous mountain, the Matterhorn, the Bernese Oberland with the resorts of Grindelwald or Interlaken and majestic Alpine peaks such as the Eiger, Moench and Jungfrau, or the cities of Zurich, Geneva, Lucerne and the Swiss Capital of Bern. "SwissVacations" will assist you in putting together your perfect vacation: whether your interests are our mountains of the Swiss Alps, or if you want to explore the Old Town of a Medieval city - whether you just want to enjoy the natural beauty or to engage in leisure or sports activities such as hiking or skiing - whether you prefer the ease and comfort of traveling by train or touring with a rental car through Switzerland, "SwissVacations" provides you with destination information and travel reservation services allowing you to plan your itinerary on your own - either based on one of our sample itineraries, or following your personal route of interests and at the same time book online the related travel services such as train tickets or accommodation. One of our Vacation Packages might perfectly meet your ideas of your Swiss Vacation, or if you prefer, you can request further assistance and complete our Vacation Planner form. "SwissVacations" also presents a personal selection of Swiss Hotels in each resort and city. We have chosen our partner hotels based on location, amenities, quality of services, and price - value ratio, and we facilitate direct communication with more than a hundred hotels and apartments throughout Switzerland. Thus, giving you the option to request availability and rates directly with your preferred hotel, and/or book your room online with instant confirmation. If you are not familiar with Switzerland and the locations you are planning to visit, our Swiss travel experts gladly assist you planning and booking your vacation. 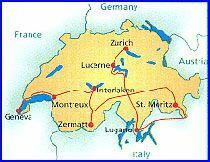 "SwissVacations" specializes in custom itineraries for groups and individual travelers visiting Switzerland and other Alpine countries. We consult you for your personal vacation itinerary which best fits your needs and interests including the booking of hotels and other travel services. Please complete the Vacation Planner as detailed as possible and we will contact you to design your perfect Swiss vacation. Please also have a look at our Vacation Packages and Sample Itineraries which could give you some ideas to start with.... Our travel consultants provide efficient and quality services and they can make all your travel arrangements for your visit to Switzerland and the Alpine region.